Board Members — Friends of Fort Clinch Inc.
Don Hughes has served as the President of FOFC since 2016. 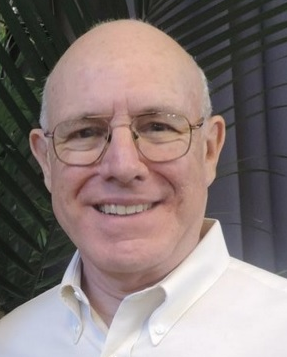 He retired in 2014, from his position as the Executive Director of the Florida State College - Betty P. Cook Nassau Center, a position he held during the last 20 years of his 39 year higher education career. His previous community volunteer work included Micah’s Place, Leadership Nassau, the Nassau County Chamber of Commerce, Take Stock in Children and the Amelia Community Theatre, among others. He currently helps coordinate adult recreational ping pong at the Fernandina Beach Atlantic Recreation Center. Other interests include fishing, reading and spending time with family. Jim has been the FOFC Vice President since 2016. McCannell is responsible for making and recording monetary collections from the various park donation boxes and depositing the funds into the FOFC bank account. He also volunteers as a member of Fort Clinch State Park’s Tuesday carpentry crew, helping to repair and restore various components of the Fort Clinch history programs. Jim is a retired FAA Air Traffic Controller, having compiled a 31 year career of federal service at four different ATC Facilities. Following retirement, he held the position of Adjunct Professor at FSCJ for three years, teaching Air Traffic Control. Amelia Island Museum of History. Sandra grew up in the Southern Appalachian area of Northeast Tennessee in a very rural setting, graduating from East Tennessee State University with a degree in Art. Art inspired by nature became her theme as she pursued her professional career. Volunteer each year and more recently on the Board of the Friends of Fort Clinch as Membership Chairman. also developed an interesting in fostering orphaned baby squirrels and other local wildlife, which she also raises for release often taking them to work in her studio. Lately she has become involved with a Horseshoe Crab monitoring program sponsored by FWC and the University of Florida. Attorney Dustin Nemati is a native of Orange Park and practices in Duval, Clay,Nassau, Baker, St. Johns, Flagler, Volusia, Alachua, Orange, Putnam and Seminole Counties. He is a graduate of the University of Florida and the Florida Coastal School of Law. Dustin previously served as an Assistant State Attorney Prosecutor with the State Attorney’s Office for the Fourth Judicial Circuit in Jacksonville, Florida. During his time as a prosecutor, he handled thousands of hearings and gained invaluable trial experience through numerous jury trials. He has trained and mentored new prosecutors and has also lectured and served as a mock trial judge for aspiring attorneys. Mr. Nemati is committed to securing positive results for local residents in need of proven legal representation. He is active in the community through his participation in the American Cancer Society Relay for Life and as a driver for the American Cancer Society Road to Recovery. Dustin volunteers at Fort Clinch as a Living Historian and spends one weekend each month his role as a Civil War soldier. Dustin and his wife are very active members of the Lake Forest Church of Christ. Jane and her husband Doug relocated to Fernandina Beach, from Atlanta in 1999. In addition to assisting her husband start their insurance business in Atlanta in 1992, Jane worked as a freelance graphic designer, and was a volunteer docent at the High Museum. After relocating to Amelia Island, She became very active in the community. Her volunteer commitments have included membership on the steering committee that founded the Fernandina Farmer’s Market and Merchandising Chairman for the Amelia Island Chamber Music Festival. Jane’s served on the Nassau County Council on Aging Board of Directors, including terms as secretary and president. She was active in the Nassau County Republican Party as a precinct leader, Council of 100 Chairman, and the NCRP Vice Chairman. She co-chaired numerous galas and golf tournaments for all three of these organizations. She has also volunteered for several other community organizations including Barnabas, Micah’s Place, Amelia Island Museum of History and Friends of the Library, where she was Adult Programs Chair. She is a current board member for Cummer Amelia, Walkin’ Nassau and Meals on Wheels for Pets. Stewart is a Fernandina Beach native and has spent most of his life in the area. He retired from Rayonier Advanced Materials after 41 years in operations, technical, and maintenance management. His community and volunteer involvement has included the Nassau County Economic Development Board, Leadership Nassau, Fernandina Beach High School Business Partners, Amelia Chamber Music Festival, and 20 years with the Fernandina Beach Little League as a board member, coach, and umpire. He also helped develop athletic facilities and programs in Fernandina Beach. He is an avid outdoorsman and spends his free time fishing, surfing, scuba diving, and staying fit. He enjoys experiencing outdoor activities with his grandchildren. His connection with Ft. Clinch State Park is a family one that goes back approximately 80 years as his father was a member of the Civilian Conservation Corp Company 1420 that worked to restore the fort and develop the park roads, etc., during the late 1930’s and early 1940’s. Jane, and her husband Jim who a retired U.S Air Force Pilot, first visited Amelia Island in 2008. In 2014, they moved to Fernandina Beach. Jane started volunteering for the Friends of Fort Clinch after meeting board members at the 2017 Wild Amelia Expo. Using her excellent organizational skills she has developed a new system to maintain the Friends files. Jane’s professional background includes rural postal carrier, music director and youth leadership skill developer for her church (20 years), children’s book author and two years’ experience fulfilling the duties and responsibilities of a paralegal. She is the proud mother of two daughters, who work in the health fields, and six grandchildren. She is one of the leaders of the Fernandina Airport Garden Group which focuses on growing vegetables. Carrie moved to Fernandina Beach with her family in 1982. She attended the public schools on the island, graduated from FBHS, and earned a Bachelor’s degree in Public Relations and a Master of Communications degree from Florida State University. After college, Carrie moved to Tampa to pursue a career in public relations. Her diverse career includes experience in print and broadcast journalism, non-profit public relations, corporate advertising, and sports marketing. One of her favorite jobs was managing the marketing for the Tampa Bay Lightning, including the season the team won the Stanley Cup. Carrie and her husband, Steve Scruggs, moved back home, to Fernandina Beach, in 2005. They have a son, Mattie, a daughter, Nola, and a rescue dog named Bayou. Currently, Carrie is the Communications Coordinator at Memorial United Methodist Church, in Fernandina Beach, and also works on freelance projects for GeoView, a geophysical services company based out of St. Petersburg. Carrie and Steve share their passions for protecting domestic animals, wildlife, and the environment with their children. The entire family enjoys running 5Ks and other races, participating in activities with the Amelia Island Runners, and volunteering through their church. Caleb moved to Yulee from the Tampa area in January of 2010. While growing up in Fruit Cove south of Jacksonville, a couple of his extended family members owned beach condos on the island in the 80’s-90’s. He would vacation with them here as a child, but was generally always confined to experiencing the beach, never the rest of the island. After moving here as an adult, he quickly fell in love with the essentially new experience of the island, and especially Fort Clinch State Park. He is the manager of a decorative fabric and upholstery retail store on the island. An avid runner and photographer, Caleb created the Fort Clinch 100 Mile and 50 Mile Ultramarathons in 2011. After several years of building a great working relationship with the park staff, assisting with the raising of funds to purchase the CCC Memorial Statue by hosting the Bronze Man 12hr Ultramarathon, he was invited to serve as a board member starting in 2018. Current responsibilities are the building of this website, administrating the FOFC’s social media pages on Facebook and Instagram (along with Don and Sandra, who are Moderators), monitoring the Fort Clinch Critter Cam, and organizing the upcoming program Fort Clinch After Dark: Astronomy Night.